Why These Audio Player App are So Famous? - Inn Geek - Inn Forum - Powered by InnJoo! Inn Forum»Subforums › Tech School › Inn Geek › Why These Audio Player App are So Famous? Musicale is a simple and light yet powerful music player. It can support multiple queues, can create maximum 20 queues. Simple GUI with minimalist design and easy navigation, Supports play-queues, folders, albums, artists, playlists are in just one row. Single click for pause/play, double click for next and triple click for the previous song. This app does not support music streaming or downloading and doesn't have internet permission. 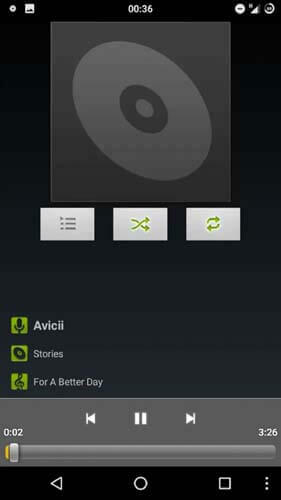 This application for Android is a light version of the AIMP audio player for the Android OS. 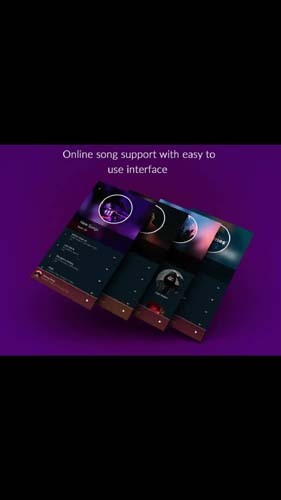 It can support all major audio formats and built-in dark and light version of the Bliss skin supports for customized themes and defined playback queue, multiple playlists, smart-playlists based on folders, Internet radio and HTTP Live Streaming. This Application may work unstable on Xiaomi and Redmi devices based on MIUI firmware and Does isn't supporting built-in music library and uses old-school playlist-based approach to music playback. 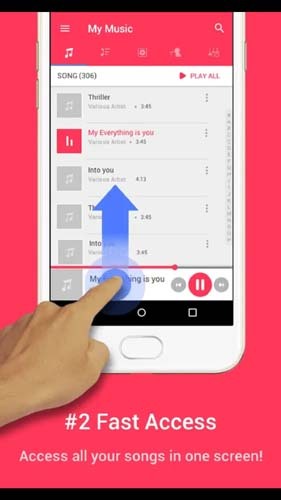 The music player will guide through all the audio files on the phone. 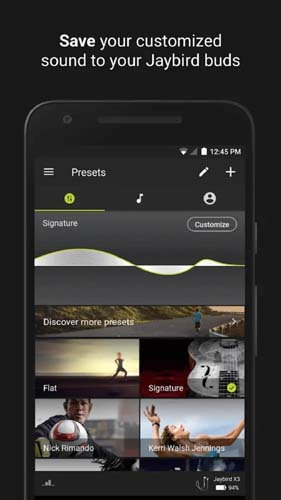 Supports to crop songs, create a ringtone, can use songs as an editable ringtone, alarm tone or notification tone, equalizer types, 7 types interface, theme changing, fast access, personalized playlists, album art and more. The app allows to customize the own equalizer preset settings, then save them to buds no matter what music device they’re paired with. If looking for music to push limits, then try the Jaybird music feature. Explore Spotify playlists of users to find new music to run and workout with. 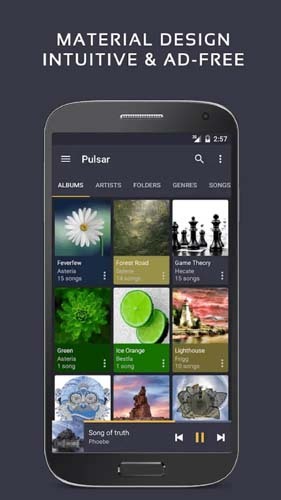 The music player can simply play, stream, tune and identify songs. 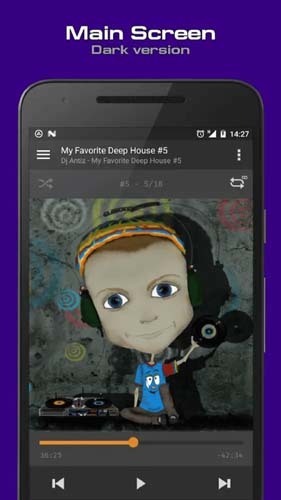 It is an innovative, ad-free audio player app with 5-band equalizer. The simple user interface can support for finding lyrics, online music streaming, fast song recognition, multiple-language and more features. Enhanced, ad-free version of the AOSP music app for all devices. 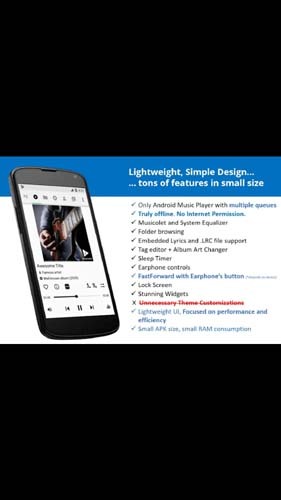 It is ad-free, this application is a custom build of the KitKat Android 4.4 AOSP music app. It works on most android phones and tablets running Android 2.3 and higher. 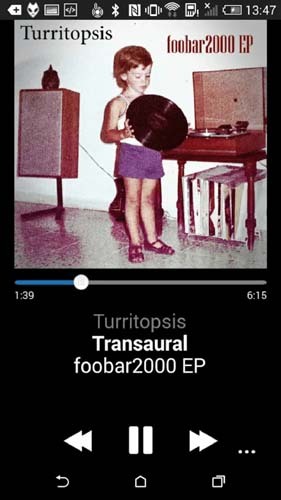 Foobar2000 is an advanced mobile audio player for mobile devices. Supports MP3, MP4, AAC, Vorbis, Opus, FLAC, WavPack, WAV, AIFF, Musepack and more audio formats. Gapless playback supports playback and downloading music from UPnP media servers.